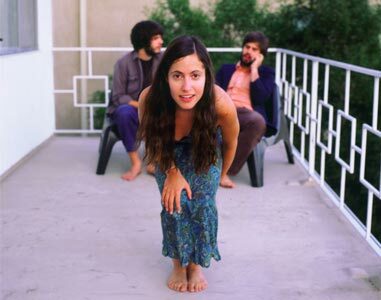 Elizabeth and the Catapult are a spirited trio of post-classical warm tones emanating from somewhere between Boston and New York. The group is led by classically trained pianist, Elizabeth Ziman, with whom I recently spoke regarding the past, present, and future. Elizabeth has been playing music since she could move her fingers. Classically trained as a child, she suffered a change of heart in her teens that led her down the path she currently treads. She explained she didn’t like the idea of locking herself in a room for eight or nine hours a day with a piano to write classical compositions, so she stole away with the skill and knowledge with which she had been imbued and set out to compose more contemporary faire. She confessed to having trouble concentrating at parties when she was younger because the music always interested her more than the company. That is not to suggest that she’s somehow maladjusted or anti-social. I found her to be quite pleasant and well-spoken. All of the Elizabeth and the Catapult recordings have been produced in their bedrooms. They remain a tenaciously independent band who have learned how to be very self-reliant in the MySpace age of music. Elizabeth confided that it is sometimes hard to manage the band at the same time as writing music and expressing herself creatively. “It’s like I have two different lives. I don’t have much of a business head about me,” she said. In spite of, or perhaps because of, juggling the two, Elizabeth and the Catapult are finding that sticking to their guns and pursuing the things that excite them is paying off. They have been the recent beneficiaries of quite a lot of buzz around the New York and Boston area codes, and all of this without even a full-length record to their name, although Elizabeth promises that one is in the works. The band will be locking themselves in a bedroom for months to get their first, self-released, self-recorded, self-promoted, full length record out sometime this year. Elizabeth and the Catapult emit jazzy neo-contemporary compositions that tread near some of the same ground as artist like Norah Jones and the like. Their warm and poignant tunes are ripe for the picking of the critical indie-rocker looking for some more depth and skill injected into their ears. Keep your ears peeled and be ready to chill out and enjoy. 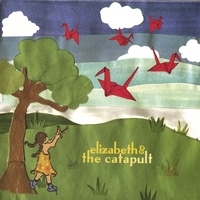 Store : Music : Elizabeth & The Catapult : "Momma's Boy"